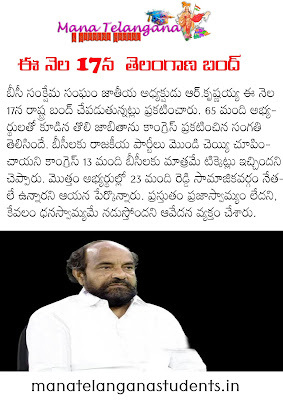 BC national president R.Krishnaiah announced the state bandh on 17th of this month. 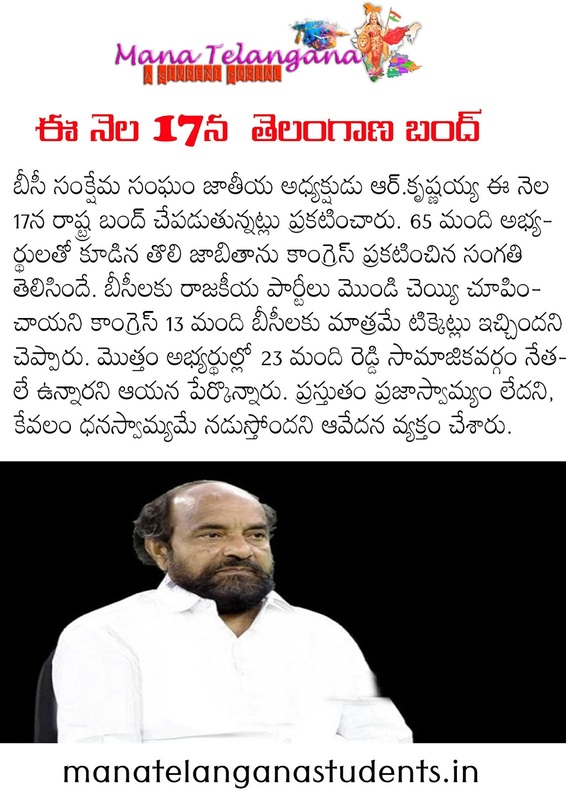 Congress announced the first list of 65 candidates, in that the congress has given only 13 tickets to the BC, Of the total candidates, 23 are Reddy's social leaders, he said. “There will be severe resistance if BCs are ignored by political parties. There is no more democracy in these parties. Only those with money power are being given opportunity to contest elections,” he said.